Jade Fitzgerald's hope for a perfect marriage shatters when her husband confesses he has an illegitimate son who he wants to raise in their home. With the help of her family and her faith, Jade comes to understand her future doesn't rest on the power of her past, but in the goodness of God's mercy. The book is about an unexpected occasions that occurs in life. I think everyone has their own regrets, redemptions and losses. The story evolves around Jade, who is happily married to Max and owns 2 boutiques and unfortunately still fails to conceive. There is a lot of things going on around her. Her mom is fighting leukemia and refuse to go through another chemotherapy. I think I can understand her mom well since one of my cousin died of luekemia, and she went through a lot of chemotherapy. I can also understand how Jade's feel, to fight for everything so that she could bring her family together no matter what happens. A great thing she has is the ability to forgive, and yet forgiveness is something so difficult for us to handle if it is as big as knowing your husband kind of had cheated on you. I wont give that kind of forgiveness that easy. Or maybe I would. But I guess that is why there is a saying of 'It's easy to forgive but hard to forget'. Jade ran from everything a while and try to compose herself, think of how to move on in the best possible way without losing or hurting others that so dear to her even if it will hurt herself. What I love the most of Jade character is that she always find that there will always be silver lining even in the darkest day, in the hard way. She knows that she should not lose hope and only God knows what's the best for His servants. I only have one complain for the book, the name Jade and June is likely quite similar and it kinds of making me loses track of the characters. It is obviously sounds like the same, literally. Overall, the book is quite a catch. 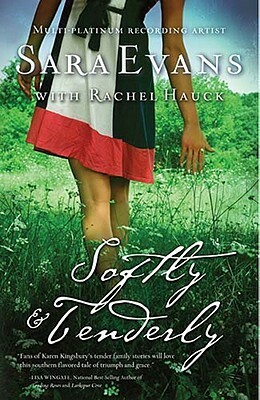 When the book ended, I just realized it was actually the second book of Songbird Novel. The first book is The Sweet By and By, followed by the 3rd book, Love Lifted Me. I should try the other two books in the series. You should too. Jade's predicament certainly makes it hard for one to imagine themselves in her shoes. Forgiveness definitely isn't easy - it's just up to the individual to decide on the best way to go about it. Do the other two books in the series have the same characters?